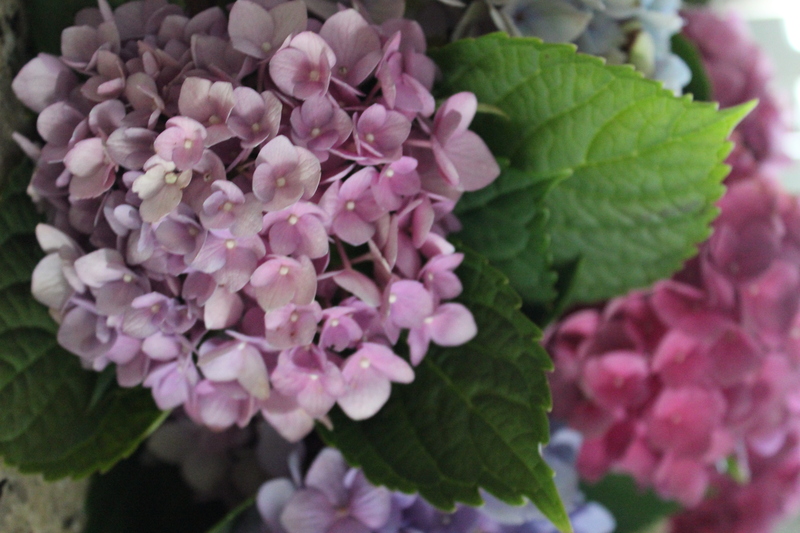 Can you tell that hydrangeas are my favourite flowers? 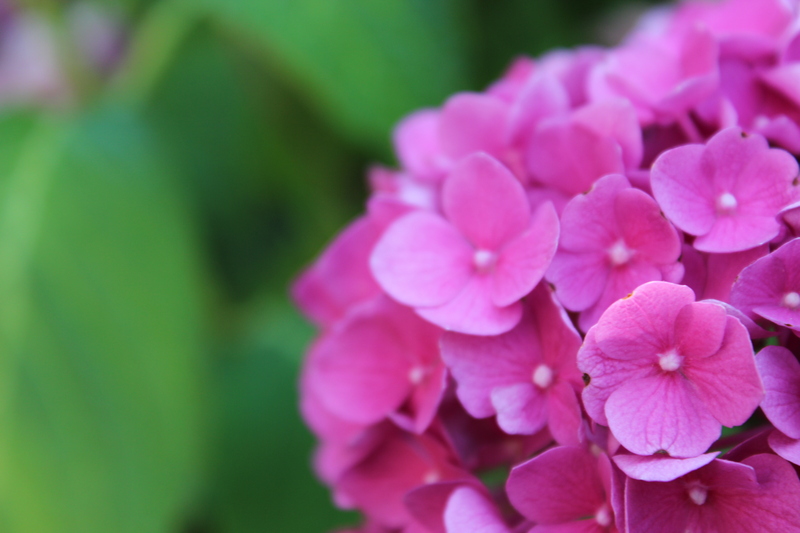 I have several hydrangea bushes and over the years they have grown and have given me some beautiful blooms. I love to use these blooms inside my home. 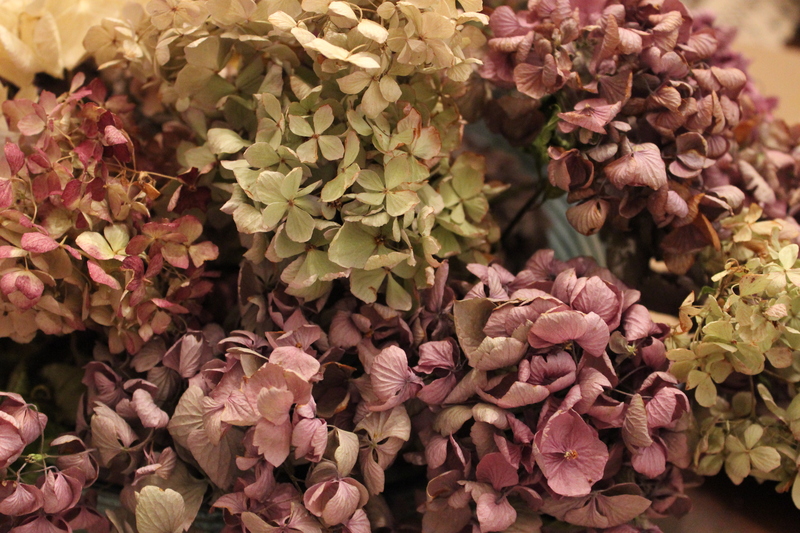 To preserve the blooms I allow them to dry, sometimes accidentally, like last fall when I placed some in my fall mantel and they dried beautifully with no water at all. 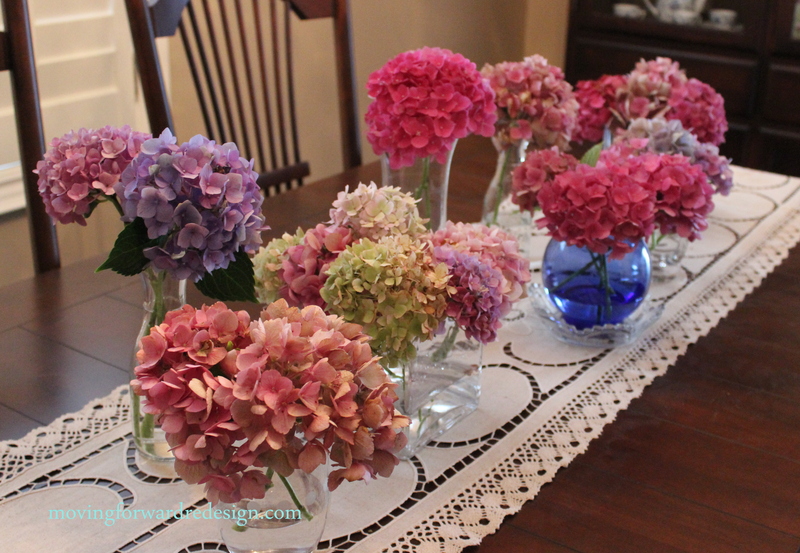 This year I decided to pick the blooms and fill my dinning room table with them. I placed several blooms in different containers with an inch or two of water and allowed blooms to dry as the water evaporated. 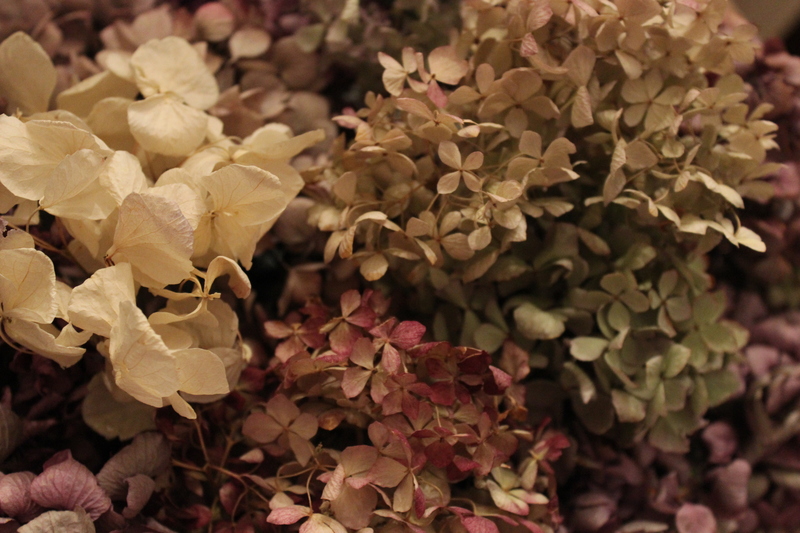 Now I have a basket full of dried hydrangea blooms that I can use in my decor. The colours do fade but you still get some beautiful shades. Thanks Antonella, they are my favourite. These are gorgeous! 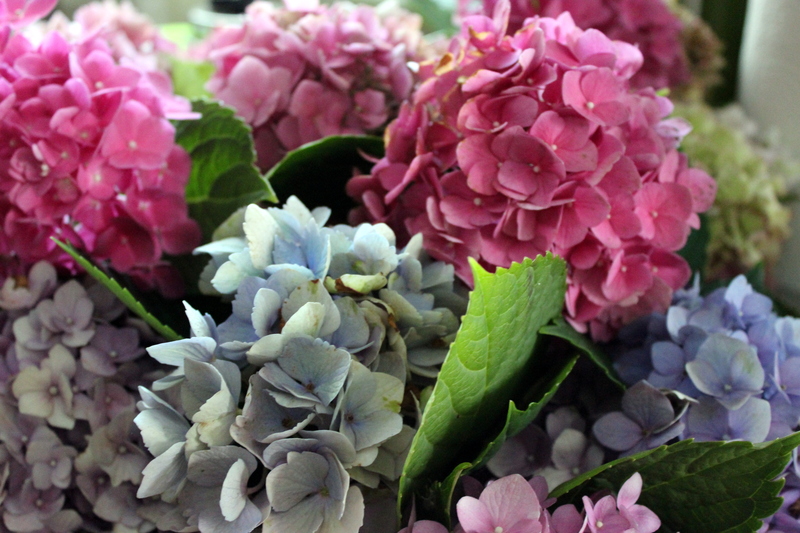 I love hydrangeas, and yours are so so pretty! Thank you so much Kathy!! I will be right over, love your blog! I had no idea it was that easy! Thank you for sharing with the Clever Chicks Blog Hop, I’ll be featuring your blog on this week’s hop, so please come grab a Featured button! Thanks Jemma. Hope you do try drying them. Thanks for the follow, I really appreciate it. So incredibly gorgeous and what a great tip, you are so fortunate to grow them yourself! I am going to the market today and purchase a few stems and give this a try! 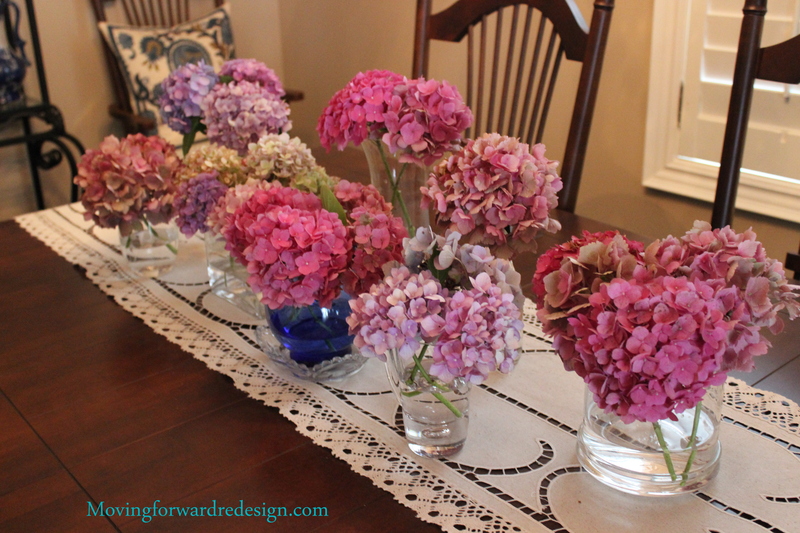 I have used that method with roses but never hydrangeas. I will have to try that, thanks. I have picked the blooms at peak Color. Then tie a few stems together with wire, twist ties or rubberbands. Then hang them upside down like in a garage or shop. They really kept their Colors well. Nice to meet you Cynthia,wow your family left Portugal a long time ago. I came to Canada when I was eight. 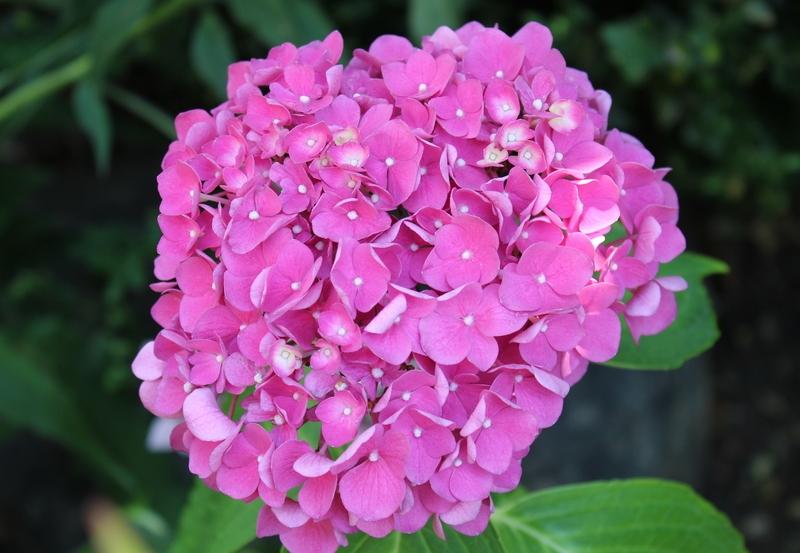 Have fun picking your hydrangeas tomorrow. Marcia, I usually wait until they start to turn in colour before I pick them. Here in Southern Ontario it is usually in early September. I still have some outside that can come in to dry now. How do you know when they’re ready to pick & dry?